Spacious, well presented two bedroom first floor apartment located in the sought after Barry Island. 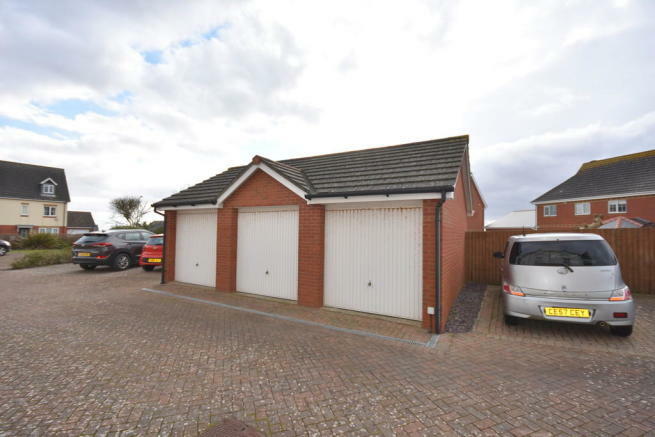 Conveniently located to local amenities and a short walk to Jackson Bay and Whitmore Bay. Communal entrance hall, hallway, kitchen with integral appliances. 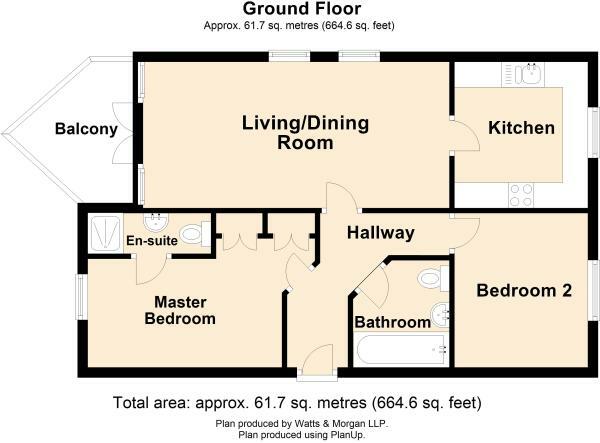 Master bedroom with en-suite shower room, spacious double second bedroom and a family bathroom. Communal garden, allocated parking space and a garage. Being sold with no onward chain. FIRST FLOOR Communal Entrance - Secure communal entrance with stairs to all floors. The apartment is located on the first floor. Door provides access to the communal store/meter area. Entered via a wooden door, the hallway benefits from carpeted flooring, recessed ceiling spotlights and a door intercom phone system. The living/dining room enjoys continuation of carpeted flooring, two uPVC double glazed window to the side elevation and uPVC French doors opening out onto the balcony which provides ample space for outdoor entertaining and dining while enjoying superb views over the Bristol Channel. The kitchen has been fitted with a range of base and wall units with roll top laminate work surfaces. Integral appliances to remain include; an 'Indesit' fridge freezer, an 'Indesit' washing machine, a 'Creda' dishwasher and a 'Creda' electric oven with a 4-ring gas hob and extractor hood over. The kitchen further benefits from a wall mounted 'Baxi' combiination boiler, tiled flooring and uPVC double glazed window to the rear elevation. Master Bedroom is a generously sized double room which enjoys carpeted flooring, built in wardrobes and a uPVC French doors which open out onto a 'Juliette' balcony. The en-suite shower room has been fitted with a 3-piece white suite comprising shower cubicle with thermostatic shower over, a pedestal wash-hand basin and a WC. The second bedroom is a further spacious double bedroom benefiting from continuation of carpeted flooring and a uPVC double glazed window to the rear elevation. The family bathroom has been fitted with a 3-piece white suite comprising a panelled bath with thermostatic shower over, a pedestal wash-hand basin and a WC. 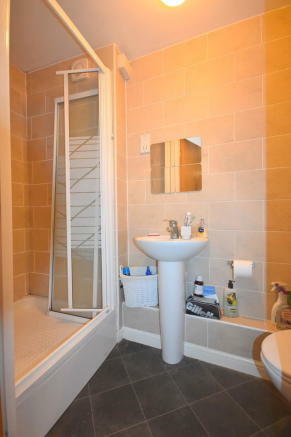 The bathroom further benefits from fully tiled walls and a carpeted flooring. GARDENS AND GROUNDS The apartment benefits from a communal garden, one allocated parking space and a single garage. SERVICES AND TENURE Share of Freehold - 999 years from 2003 (approximately 983 years remaining). We have been reliably informed that the service charge is approx. £1200 per annum which includes garden maintenance and building insurance. Disclaimer - Property reference 100565024310. The information displayed about this property comprises a property advertisement. Rightmove.co.uk makes no warranty as to the accuracy or completeness of the advertisement or any linked or associated information, and Rightmove has no control over the content. This property advertisement does not constitute property particulars. The information is provided and maintained by Watts & Morgan, Penarth. Please contact the selling agent or developer directly to obtain any information which may be available under the terms of The Energy Performance of Buildings (Certificates and Inspections) (England and Wales) Regulations 2007 or the Home Report if in relation to a residential property in Scotland.